Kelowna, BC business review company Local Reviews has launched a comprehensive review management system for businesses. The system initiates and manages customer responses with the option to post reviews to Google, Yelp!, Facebook, and BBB pages and facilitates business to customer remediation for low ratings. Kelowna, BC business review company Local Reviews announced the launch of its single-point customer testimonial platform and review management system. The online platform offers businesses a single page with capabilities to post on multiple review platforms. Business Insider magazine reports that a product with even a single review is 65 percent more likely to be purchased than a product that does not feature reviews. Business magazine reports that 90 percent of product or service customers research their products online before they make a purchase decision. The rise of consumer-generated online reviews across multiple platforms such as Google, Facebook, Yelp!, YP, and the Better Business Bureau, affects the reputation, credibility, and consequently, sales generated by small, medium, and large enterprises. 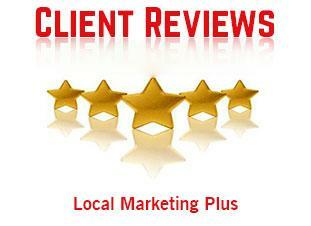 Local Reviews provides businesses with comprehensive multi-platform review management capabilities. The Local Reviews system guides a business’s end customers through a user-friendly review & testimonial process. The system initiates the review process via email or text message after a service or sale. A 5-star scale is used to rate customer experience followed by the option to report 4-star or 5-star reviews on Google, Yelp!, Facebook, or other platforms that are relevant to a business. Local Reviews allows businesses to manage poor or negative reviews by providing customers with additional feedback parameters to help the business owner understand how their product or service could be improved. Negative reviews or ratings are followed by immediate email communication to business owners for remediation. Local Reviews is a specialized business review and customer rating management platform developer offering review management packages to small, medium, and large businesses in and around Kelowna. More information is available at the URL above.